Ovation this week released two new videos to promote its upcoming program Song By Song: Dolly Parton as "exclusive extras" to the show. The first, available in the media player above or by visiting YouTube here, focuses on how she paved the way for women in the music business. The second, available in the media player below or by visiting YouTube here, discusses her appearance. As was reported here Monday night, the show's premiere date has moved up to next Monday night. Yet another Tennessee community is sounding the alarm on the U.S. Postal Service's decision to spend more money to pack up and destroy undeliverable children's books from Dolly's Imagination Library than the USPS would expend if it allowed volunteers to pick up the misaddressed books. Memphis television station WREG reported on the controversy in Shelby County on Tuesday here. Another local production of Dolly's 9 To 5: The Musical has been noticed. The performance this weekend at 3-D Theatricals in Redondo Beach, Calif., is profiled in The Los Angeles Daily News here. Ovation has moved up its premiere of its limited series Song By Song: Dolly Parton. Instead of starting the show on the previously-announced March 10 date with two new episodes each following Sunday, it has been moved up six days to the Monday a week earlier each week. That means "I Will Always Love You" premieres at 8 p.m. Eastern next Monday, March 4, followed by "9 To 5" at 8:30 p.m. They will repeat several times over the subsequent week until "Coat Of Many Colors" premieres at 8 p.m. Monday, March 11, followed by "Jolene" at 8:30 p.m. The schedule for the subsequent week has not been released yet, but presumably the final two episodes, "Travelin' Thru" and "It's All Wrong, But It's All Right," will premiere on Monday, March 18, instead of the originally-announced Sunday, March 24. Various TV listing services had shown the changed dates for the past few days, but the schedule change was not confirmed until Ovation uploaded the schedule for March 4-17 on its official website this Monday. Dolly is among many artists who have contributed to a tribute fundraising CD coming out next month, it has been announced. Country singer Gail Davies, with whom Dolly duetted in the past, recently produced an album of covers of her songwriter brother Ron Davies, who died in 2003. Dolly recorded the track "It's Too Late" for the album, Unsung Hero: A Tribute To The Music Of Ron Davies, coming out March 25. Others who appear on the project are Alison Krauss, Vince Gill, Crystal Gayle, John Prine, Rodney Crowell, John Anderson, Shelby Lynne, Delbert McClinton, Jim Lauderdale, Mandy Barnett, Suzy Bogguss, Guy Clark, Robbie Fulks, Jeff Hanna, Matraca Berg, Jonell Mosser, Bonnie Bramlett, Jimmy Hall, Kevin Welch, Kelly Hogan and BR-549. Proceeds benefit Nashville's W. O. Smith Music School. Read more from CMT.com here. Dolly's 9 To 5: The Musical continues to march across Great Britain on tour. The show's April stop in Hull, England, made About My Area here, while an interview with "Roz," actress Bonnie Langford, was published in the Norwich Evening News here. Another Tennessee media outlet is covering the story of the Post Office stopping Imagination Library volunteers from picking up undeliverable books in Dolly's literacy program. Knoxville television station WBIR reports on the controversy here. With the premiere of the first two episodes of Ovation's new series Song By Song: Dolly Parton in two weeks, the network last week began releasing promo spots for the show. A one-minute clip is available in the media player above or by visiting YouTube here. A 30-second clip with different interviews is available on YouTube here, and a 20-second abbreviated version of that clip is here. Down Under, The Very Best Of Dolly Parton, Volume 1 dips three this week to No. 38 on the top 40 Australian country albums chart, its 259th chart week there. Dolly's 9 To 5: The Musical runs in Columbia, S.C., at the Town Theatre through March 16, The State reports here, and up in Massachusetts, The Worchester Telegram and Gazette reports here it runs through March 3 at Theatre at the Mount. Dolly duets with legendary crooner Paul Anka on his upcoming album Duets, hitting stores April 9. Others on the project include Gloria Estefan, Willie Nelson and Michael Buble. In addition, the project creates "new" duets by adding Anka's vocals to existing recordings by deceased artists including Michael Jackson, Frank Sinatra and Sammy Davis Jr. Get your copy here! Thanks, Mike! The decision of the U.S. Postal Service to discontinue allowing volunteers to pick-up undeliverable Imagination Library books across Tennessee continued to gain media attention on Friday with stories from News Channel 5 in Nashville here, WSMV in Nashville here and News Channel 9 in Chatanooga here. I Will Always Love You: The Best of Whitney Houston, with her cover of Dolly's title track, slips 18 spots this week to No. 84 on the top 100 Irish pop albums chart. The Dr. Steve Show, a nationally syndicated health and wellness program filmed at a New York television station, this week uploaded video of its entire episode featuring an interview with Dolly that was recently nominated for a New York Regional Emmy Award for Best Health/Science Program or Special. Watch it here. In its opening, the host says it's an interview like Dolly has never given before, and true to that tease it focuses largely on mountain medicine practiced by people in her family during her childhood and even her family's psychic abilities. In a press release celebrating the nomination, Dolly said: "It is always great to be nominated for anything. I remember doing The Dr. Steve Show and I was thinking at the time 'I have enjoyed doing this as much, if not more, than any show I have done in years and years.' So I was excited to be nominated for this particular show. So thanks, and wish me luck!" Emmy Awards for programs, however, don't usually go to the guest but the producer of the show. The interview was part of her promotions for the release of An Evening With . . . Dolly at Cracker Barrel restaurant last year and originally aired in April. Dolly's Imagination Library has launched in Washington County, Md., television station WHAG reported here and newspaper The Herald-Mail reported here. In less happy news about the program, Knoxville television station WATE reports here that a local post office informed program supporters in Maryville, Tenn., that due to a national directive over the postal service's cost-cutting measures, undeliverable books will not be returned to the program there any longer, something they said they were told would also be stopped by all other post offices in the country where the program operates. Instead, undeliverable books will be destroyed. Since its inception more than 15 years ago, the program has benefitted from local postmasters, nearly all of whom returned the books to the local distributors free of charge since it was not expressly prohibited by any postal regulations and since the increased postage cost of returning the books at first class rates made the program cost prohibitive. In response, Dollywood Foundation President David Dotson told the station: "They're throwing brand new children's books, bought and paid for by local people who are really trying to do a good thing for the kids in their community, they're throwing them away. For the most part throughout our history we've been able to retrieve the books all over country. It's really not been an issue. In the last 10 years we have generated $14.9 million of revenue for the United States Post Office. We consider ourselves a valued customer." Dolly's Joyful Noise soundtrack continues its to lose ground, the March 2 Billboard charts released Thursday showed. The CD falls off the 50-position Christian albums list, down from No. 50 the previous week, its 43rd, but it manages to inch up one spot to No. 70 in its 45th week on the combined Christian and gospel albums chart and rise six spots to No. 19 gospel albums in its 58th week there. I Will Always Love You: The Best of Whitney Houston, featuring her cover of Dolly's title track, gains nine digits to No. 99 pop in its 14th week and 10 to No. 90 current pop albums while rising five to No. 18 R&B/hip hop albums. Overall, Taylor Swift's Red regains one to No. 1 country and eight to No. 4 pop with 72,000 copies sold in its 17th week, while Tim McGraw's Two Lanes Of Freedom slips one to No. 2 country and 11 to No. 12 pop in its second week. Although the Billboard charts won't be out until later Thursday, some SoundScan tallies reflecting updated sales positions of Dolly products were leaked Wednesday. The Cracker Barrel release An Evening With . . . Dolly ranked as the 47th best-selling music DVD of the week, moving 239 copies to log a cumulative total since release of 54,908 units sold. Her Joyful Noise soundtrack sold 906 copies for the week to rank at No. 39 soundtracks and No. 116 independent albums, giving it a cumulative sales total of 129,658 since release. Dolly's 9 To 5: The Musical is heading to Theatre Winter Haven in Winter Haven, Fla., Thursday through March 17, The Ledger reported here. Also, Cromwell High School in Connecticut is performing it this weekend, The Hartford Courant reported here. Some fans Down Under may have gotten excited on Wednesday when several concert websites announced a May 10 Dolly performance at the Arts Theatre in Burnie, Tasmania, Australia. Unfortunately, it appears a concert listing service mislabeled one of two performances by a Dolly tribute artist at the venue May 3 and 10. The mislabeled listing is available on Songkick here, among several other concert listing sites. Singers Ashley Monroe and Blake Shelton pay tribute to the legendary country duet of Dolly and Porter Wagoner with their new duet, "You Ain't Dolly (And You Ain't Porter)." The retro-sounding track was released as a preview Monday for Monroe's upcoming album, Like A Rose, which hits stores March 5. Monroe, who performs with Shelton's wife Miranda Lambert in the country girl group Pistol Annies, co-wrote the tune with another Dolly duet partner, Vince Gill, who produced the CD. (I wonder if the song was inspired by the time on an awards show where Dolly substituted for Patty Loveless with Gill on their hit, "My Kind Of Woman, My Kind Of Man," and Dolly quipped that she was no Patty Loveless but that Gill was no Porter Wagoner, either.) Monroe has idolized Dolly for her entire life, she has said, which prompted Dolly to send a letter to her when she was first starting out saying she was a fan and how much she reminded her of herself. Monroe also was chosen to perform one of Dolly's No. 1 covers, "But You Know That I Love You," as part of the Academy of Country Music's 2007 tribute to her in recognition of her receiving that year's Pioneer Award. Read about the song from USA Today here and take a listen here or in the media player above. Also, reserve your copy of her CD here. The Very Best Of Dolly Parton, Volume 1, a stalwart on the top 40 Australian country albums chart pretty much since its 2007 release, holds steady this week at No. 35 on the tally Down Under, its 258th chart week there. Dolly's 9 To 5: The Musical is heading to Colorado, The Denver Post notes here this week. The Town Hall Arts Center in the suburb of Littleton is producing it Friday through March 24. Dolly's 9 To 5: The Musical continues its worldwide theatre rounds. Northern Life previews its Theatre Cambrian engagement in Canada here, while The Leighton Buzzard notes its Milton Keynes engagement on the U.K. tour here and Norwich Theatre Royal encourages fans in that British city to prepare for its shows there by attending a Dress Like Dolly Night at the Coach and Horses next Friday. Learn more here. In Ireland, I Will Always Love You: The Best of Whitney Houston, featuring her cover of Dolly's classic title track, moves up 34 places to No. 66 on the top 100 Irish pop albums chart. Dolly's Joyful Noise soundtrack continues its slide back down the spiritual music charts this week, the Feb. 23 Billboard tallies released Thursday showed. The CD loses a dozen digits to No. 50 Christian albums in its 43rd week there, 13 spots to No. 25 gospel albums in its 57th week there and 23 places to No. 71 in its 44th week on the combined Christian and gospel albums chart. Thanks to coverage of the one-year anniversary of her death, I Will Always Love You: The Best of Whitney Houston, featuring the late singer's cover of Dolly's title track, rises 20 spaces to No. 108 pop in its 13th week and 14 slots to No. 100 current pop albums while inching down one to No. 23 R&B/hip hop albums. Overall, Tim McGraw's Two Lanes Of Freedom debuts at No. 1 country and pop with 107,000 units sold in its first week, while Taylor Swift's Red holds steady at No. 2 country and loses two to No. 12 pop in its 16th week. Jennifer Love Hewitt is aiming to get Dolly on her Lifetime series The Client List, Yahoo reported Thursday here. "I would love to have Dolly Parton on the show," she said. "I think that would be really fun at some point, so we're trying for that. I'm not sure if that's going to happen this season or not." Thanks to Larry for the heads up that Dolly's "9 To 5" was used for about a minute as the open for Wednesday night's The Neighbors on ABC. The song played while the mother woke up and began her daily routine. Dolly's 9 To 5: The Musical gets another staging in the Sunshine State, as Players of Sarasota are producing the show, The Bradenton Herald reported here. 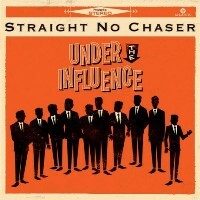 A capella group Straight No Chaser this week officially announced its next project, the CD Under The Influence, which will feature a Dolly guest appearance. The album will be released from Atlantic Records on May 7 with the ensemble "reimagining" their all-time favorite songs alongside several of the original icons who recorded them. Dolly's contribution will be guest vocals on a cover of her classic "Jolene." Other guests include Sara Bareilles on "I Want You Back," Phil Collins on "Against All Odds," Jason Mraz on "I Won't Give Up," Rob Thomas on "This Is How A Heart Breaks" and Seal on "Kiss From A Rose." Covers without the original artists guesting will be "Rolling In The Deep," "Some Nights/We Are Young" and "Hallelujah." In addition, two final tracks have yet to be announced for the project. Dolly's Imagination Library made it to the No. 1 spot Wednesday on the social news service Reddit, and the popularity led so many people to its website, tens of thousands of new visitors, that the traffic knocked the site offline for a few hours. Learn more about it from Network World here. Dolly and Sally Field almost quit their 1989 blockbuster movie Steel Magnolias due to director Herbert Ross's mistreatment of co-star Julia Roberts. Field tells ABC News in an interview here this week: "He was really mean. He picked on Julie, I mean, for what reason? None of us knew. And we were all protective of her, but since I played her mother, I was particularly fiery and protective. I said, 'I'm walking off, next time this happens, I'm walking off,' but Dolly was seriously out there, too so I wasn't the only one." Dolly's 9 To 5: The Musical heads to Chattanooga, Tenn., this weekend for a local production at The Center for Creative Arts, Nooga.com notes here. A Dolly cover has gone viral, according to Starcasm here. The site notes a West Virginia Walmart worker's version of Dolly's "Coat Of Many Colors" was so good that it became an Internet sensation, prompting her local television station to track her down and reveal her name to the world, Kayla Slone. Check out the video via Facebook here. 'Very Best' Returns Down Under, Houston Falls In U.K.
After being gone from the chart for just one week, The Very Best Of Dolly Parton, Volume 1 re-enters the top 40 Australian country albums chart this week at No. 35 to log a 257th chart week since its 2007 release. Also overseas, the late Whitney Houston's Ultimate Collection, featuring her cover of Dolly's classic "I Will Always Love You," falls off the top 100 British pop albums chart, down from No. 69 in its 152nd chart week. Tennessee's Bristol Herald Courier profiles Dolly's recent inspirational book Dream More over the weekend. Read more here. In anticipation of Dolly's 9 To 5: The Musical U.K. tour coming to Norwich, several folks at various businesses around town got together to lipsynch the title track from the cast album. Watch it in the media player above or by visiting YouTube here and read about who is in the video from EDP 24 here. It was previously reported here that the North Lincolnshire Council in England had voted to launch Dolly's Imagination Library early childhood literacy program in their area, piloting it on the Isle of Axholme before expanding to the entire community. Thorne Gazette reported here Friday on the official launch event. Continuing tonight's entirely across-the-pond update, the top 100 Irish pop albums chart was released Friday and Whitney Houston's Ultimate Collection, featuring the late singer's version of Dolly's classic "I Will Always Love You," falls off the chart this week, down from No. 81, while her I Will Always Love You: The Best of Whitney Houston re-enters the chart at No. 100. Although for the second week in a row, the revamped Billboard.com did not publish the top music DVD chart, the SoundScan data on which the chart is based for this week show Dolly's Cracker Barrel release An Evening With . . . Dolly returns to the 40-position tally at No. 40 for a 35th chart week, gaining seven spots from its sales position the previous week. The set sold 190 copies for the week for a cumulative total since release 54,449 units. Also, while it has not been in the top 50 independent label albums chart for a couple of weeks, the SoundScan data show Dolly's Joyful Noise was the 92nd biggest-seller on that list, down from No. 62 last week, with 868 copies sold for the week, giving it a cumulative total of 128,033 since release. The Feb. 16 Billboard numbers showed the album falls out of the 25-position soundtrack albums chart, down from No. 21 last week, its 25th chart week; however, the SoundScan list showed it barely missed the tally, coming in at No. 26 for the week. The CD slips nine to No. 38 Christian albums for a 42nd week there, six to No. 12 gospel albums in its 56th week there and 14 to No. 48 on the combined Christian and gospel albums chart in its 43rd week there. Its tracks "From Here To The Moon And Back" by Dolly with Kris Kristofferson and Jeremy Jordan and "Higher Medley" by Dolly, Queen Latifah and cast both fall off the 25-position gospel digital songs chart, down from No. 15 and No. 19, respectively, in each song's 20th chart week. I Will Always Love You: The Best of Whitney Houston, featuring the late singer's cover of Dolly's title track, gains 21 to No. 128 pop in its 12th week and 15 to No. 114 current pop albums but slips two to No. 22 R&B/hip hop albums Overall, Gary Allan's�� Set You Free remains at No. 1 country and looses seven to No. 8 pop with 34,000 copies sold in its second week, while Taylor Swift's Red holds steady at No. 2 country and dips one to No. 10 pop with 29,000 units moved in its 15th week. Whitney Houston's cover of Dolly's classic "I Will Always Love You" has been voted the most popular love song in the U.S. in a nationwide poll. Sony Electronics Home Audio commissioned the poll, which saw the song receive 38 percent of the vote. In order, the remaining top 10 were "Unchained Melody" by The Righteous Brothers, Percy Sledge's "When a Man Loves a Woman," Joe Cocker's "You Are So Beautiful" the Bee Gees' "How Deep Is Your Love," Aerosmith's "I Don't Want to Miss a Thing," Patsy Cline's "Crazy," Foreigner's "I Want to Know What Love Is," Bryan Adams' "(Everything I Do) I Do It for You" and Marvin Gaye's "Let's Get It On." Read more here. Dolly's 9 To 5: The Musical continues to burn up stages worldwide. Broadway World's Indianapolis page profiles its engagement at Beef & Boards Dinner Theatre through March 24 here, Canada's The Sudbury Star covers its Northern Ontario premiere at Theatre Cambrian here and Entertainment Focus reports on the U.K. tour's Milton Keynes stop next month here. Ovation television network's second Song by Song series, which it was announced in October would focus on Dolly, will air Sundays March 10, 17 and 24, it was revealed on Wednesday. Also disclosed were the songs to be profiled in the six half-hour episodes (two of which air each Sunday night at 8 p.m. and 8:30 p.m.) and who will be featured on them in addition to Dolly. Photo at left by Rick Diamond, Getty Images, courtesy PRNewsFoto/Ovation, Diamond, Getty Images. Used with permission. In a press release, the network noted that the series "will feature an exclusive interview with Dolly herself as she shares her most intimate memories and stories about the inspiration and impact of six of her most popular songs in six dedicated episodes." Ovation Chief Creative Officer Robert Weiss added: "Country music is a quintessential American art form.�Dolly Parton's singing and songwriting talent has made her a music icon and she has inspired countless other musical artists.� We would be remiss if we did not include a tribute to Dolly in our popular�Song by Song�series." Interviewed in addition to Dolly are Lily Tomlin,�Kristin Chenoweth,�Carrie Underwood,�Kellie Pickler,�Miley Cyrus,�Mac Davis,�Miranda Lambert,�Kenny Rogers,�Vince Gill,�Brad Paisley,�Janis Ian, producer�Kent Wells, recording executive Jody Williams, producer Steve Buckingham,� band leader�Michael Davis, director�Duncan Tucker, Lindi Ortega,�Marty Stuart,�Mindy Smith,�Brandi Carlile, Jim Lauderdale, the Grascals and biographer�Alanna Nash. The series is narrated by�Ray Van Ness. In addition, exclusive digital extras will be offered in conjunction with the series. Ovationtv.com will feature information about each episode and clips from the series. Its Facebook page will offer an inside look featuring behind-the-scenes photos and videos as well as a Cover Contest where fans will vote for their favorite YouTube Dolly cover song. Their YouTube channel will feature extended interview footage and other extras. Ovation is available in 44 million U.S. homes via cable and satellite providers, but as was reported here, Time Warner Cable, the nation's second-largest cable provider, dropped the channel on Jan. 1. The first night of Dolly's 9 To 5: The Musical in York, England, had its share of problems. The York Press noted that the show's U.K. tour engagement in their city experienced multiple technical issues, which were partially blamed on the size of the stage being the smallest on the tour. Still, even with several delays, the show was entertaining, full of "sauciness, balls and camp fun," the paper's review said here. They also offered an interview with the actress who plays Judy here and a story on those technical issues here. After an impressive 256 weeks on the top 40 Australian country albums chart � that's less than one month shy of five whole years � the 2007 compilation The Very Best Of Dolly Parton, Volume 1 drops out of the top 40 this week Down Under, down from No. 39. Elsewhere overseas, Whitney Houston's Ultimate Collection, with the late singer's version of Dolly's classic "I Will Always Love You," rises two to No. 69 for 152nd chart week on the British top 100. CMT's The Edge this week profiles Dolly's Grammy win for the single "Shine" in 2001. Check out the page here. Dolly's 9 To 5: The Musical has made its way back to Music City, where the U.S. tour first premiered following its Broadway run. The show is being produced by the Larry Keeton Theatre, which is sold out through Saturday, according to The Examiner here. Another English community has signed on for Dolly's Imagination Library literacy program, This Is Scunthorpe reported here. The east coast area of North Lincolnshire will pilot the program on the Isle of Axholme for six months before expanding it to the entire region later in the year. In Ireland, Whitney Houston's Ultimate Collection, with the late singer's version of Dolly's classic "I Will Always Love You," falls 33 places this week to No. 81 on the top 100 Irish pop albums chart. Dolly's Joyful Noise soundtrack falls back out of the top 50 independent label albums chart this week, down from No. 43 in its 21st week, the Feb. 9 Billboard numbers released Thursday showed. The title slips eight to No. 29 Christian albums for a 41st week there, six to No. 21 soundtrack albums chart for a 25th week, two to No. 6 gospel albums in its 55th week there and 10 to No. 32 on the combined Christian and gospel albums chart in its 42nd week there. On the digital gospel sales chart, "From Here To The Moon And Back" by Dolly with Kris Kristofferson and Jeremy Jordan gains six to No. 15 for an 20th week, "Higher Medley" by Dolly, Queen Latifah and cast dips two to No. 19 for a 20th week and "Man In The Mirror" by Keke Palmer falls off the 25-position tally, down from No. 25 in its 20th week. The revamped Billboard website that debuted this week did not carry the music DVD chart, so it is unknown whether An Evening With . . . Dolly sticks around this week after re-entering the top 40 listing at No. 39 to log a 34th week last week. There's no indication whether this was just a first-week omission on the new site design or if the magazine will no longer publish this chart. The late Whitney Houston's I Will Always Love You: The Best of Whitney Houston, with her cover of Dolly's title track, falls 38 places to No. 149 pop in its 11th week, 32 to No. 129 current pop albums and three to No. 20 R&B/hip hop albums, while her Greatest Hits, also containing the song, falls off the R&B/hip hop catalog albums chart, down from No. 21. Overall, Gary Allan's�� Set You Free debuts at No. 1 country and pop with 106,000 units sold, while Taylor Swift's Red slips one to No. 2 country and five to No. 9 pop with 32,000 copies moved in its 14th week. If you're in England and want to check out Dolly's new slot machines, manufacturer IGT has announced it will be showcasing the equipment at London's ICE 2013 Feb. 5-7. The slots debuted at an industry show in Las Vegas late last year and became available for casinos to install starting in January. Legendary crooner Julio Iglesias is seeing a career-spanning, two-disc retrospective hit stores April 9 from Sony's Columbia/Legacy imprint containing all of his biggest hits, including the duet with Dolly, "When You Tell Me That You Love Me." Although just an album cut in the U.S., the 1994 track was released as a single in Europe and featured a music video. Reserve your copy of the collection, 1 � Greatest Hits, here. They say imitation is the sincerest form of flattery, and here are a couple of Dolly's flatterers! Get Reading in the U.K. has a great profile on professional Dolly tribute artist Andrea Pattison here, and in the States, Travelers Rest Tribune notes the Flat Rock Playhouse's 2013 Music on the Rock series opens this year with A Tribute To Dolly in downtown Hendersonville, N.C. Learn more about the Feb. 6-16 show here. AOL's country music blog, The Boot, noted Dolly's duet with Lulu Roman on her classic "I Will Always Love You" from Lulu's new album, At Last, including an exclusive online streaming version of the song. Check it out here. Dolly's 9 To 5: The Musical continues to grab attention around the globe. The York Press in England has an interview here with the actress playing Violet in the U.K. tour, and Northern Life in Canada has a story on the upcoming production at Theatre Cambrian in Sudbury, Ont., here.